What time is it? It is Amazon Quiz Time. 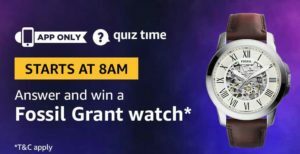 Amazon organizes Amazon Quiz daily from 8AM – 12PM wherein by just answering 5 simple question, you can stand a chance to win huge prizes everyday. In today’s Amazon Quiz, you can win a Samsung Galaxy M30. Priced at Rs 14990, it is the latest offering by Samsung. Packed with Exynos 7904 octa core processor and a 5000 mAh battery, this phone is a beast. Read on to know Amazon Quiz answers today. 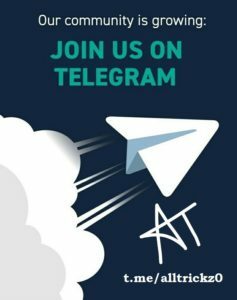 How to Answer and win a Samsung Galaxy M30? What time is it? It’s Amazon Quiz Time. 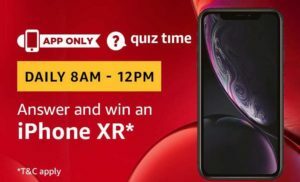 Amazon organizes Amazon Quiz daily from 8AM – 12PM wherein by just answering 5 simple question, you can stand a chance to win huge prizes everyday. In today’s Amazon Quiz, you can win an American Tourister suitcase. Currently, it is being sold on Amazon at Rs 5545. It’s made of polycarbonate, has 2 compartments with a total capacity of 108 liters and weighs just 3.8 Kgs. Read on to know Amazon Quiz answers today. How to win an American Tourister suitcase?